A question: Is it 103 compatable yet? or is that still in the pipeline? 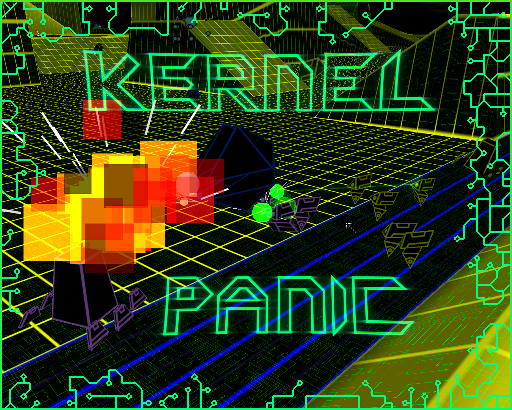 The aim of that release was to make Kernel Panic compatible with current (103) Spring engine. - Fixed compatibility issues with newer engine. (not just 103, also 100 and other missed engine release). - The launcher thing which is more about Linux compatibility, code sharing between external and internal single player menu, and moving away from commercial compiler to free tools. It had been sitting on y HDD for years but hadn't had the opportunity to release it since there was no KP release. - The only item that is about game balance and not compatibility is the hand slow switch. From what I tested, KP 4.7 is compatible with Spring 103, though I might have missed some issues. However I still have not found any workaround for the introduction of unsynced line-of-sight, which means playing on Hex Farm 8 is still awkward when units refuse to move or build on unexplored terrain that you can yet perfectly see. I did fix the off by one error that made Hex Farm 7 crash on Spring 99 and over, though. Small request: could you update the license section in the Kernel_Panic_readme.txt? The maps Central Hub, Corrupted Core, Dual Core, Quad Core were relicensed to CC BY-SA. Specifically, post 1 and post 2.